ControlSoft is pleased to announce that we have signed a Value-added Reseller (VAR) agreement with APOGEE Process Control Consulting, a consulting company providing advanced software solutions and consulting services, headquartered in Pune, India. Together, the two companies will work to deliver value-driven advanced process control solutions in India. Both ControlSoft and APOGEE have extensive expertise in process control and work closely with their customers to optimize their process performance, improve plant reliability, and increase bottom line performance. Since 1985, ControlSoft has been a global provider of platform-independent process control software and engineered solutions. Our products and services are sought by prominent companies in leading industries. By maintaining a focus on improving plant availability, production efficiency, operational safety and environmental compliance, we continue to deliver world-class control solutions for our customers. ControlSoft is pleased to announce that it has entered into a strategic partnership with Optimo Group, a consulting company providing industrial process control services, headquartered in Westfield, IN. Together, the two companies will be serving the process industries in the United States and Latin America. 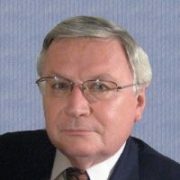 Optimo Group is led by Fernando Otero, a process automation consultant and instructor and an ISA Certified Automation Professional (CAP), with over 30 years of experience. Fernando specializes in process control strategy design, process optimization, variability management, and advanced control, working with DCSs and PLCs in multiple industries, including power generation, oil and gas transmission, oil refining, pulp and paper, and chemical processing. “We are excited to add Optimo Group’s wealth of experience in process control to the ControlSoft family as we look to expand our presence in the Latin America region,” said Joe Patella, General Manager of ControlSoft, Inc. Both ControlSoft and Optimo Group have extensive expertise in process control and work closely with their customers to optimize their process performance, improve plant reliability, and increase bottom line performance. 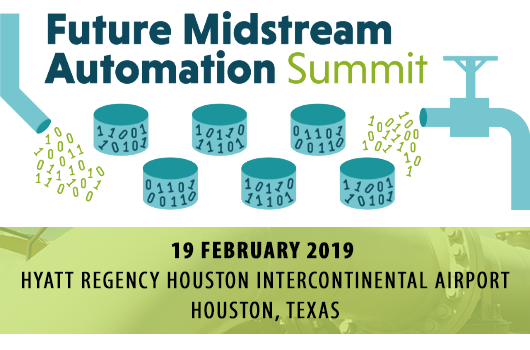 Our own Chet Mroz (General Manager, eSimulation, Inc.) will be facilitating a roundtable discussion on the optimization of the Midstream business at the 2019 Future Midstream Automation Summit on February 19, in Houston, TX. In the Energy and Chemical industry, there are many complex optimization decisions to be made due to the vast number of variables that can be controlled and the large quantity of disturbances and constraints. Identifying the true variables and constraints is in itself a deep art. Correlation-based models are used for optimization when accuracy is not as important as feasibility. While LP planning tools do not represent the plant accurately, they have been the planning tool of choice for decades because they make the planning problem easy to formulate and solve; inventory is used to make up for inaccuracies in their conclusions. However, sloppiness in accuracy comes at a cost – the actual optimum solution is likely worth a lot more – yields will be better, energy consumption lower and required inventory holdings will be decreased. Again, rigorous models used for optimization will find the best answer. Join the roundtable discussion as we discuss which optimization practices should be implemented for the best economic outcome. ControlSoft Acquires eSimulation, Inc. and DxT3, Inc.
ControlSoft, Inc. is pleased to announce that we have acquired eSimulation, Inc. and its joint venture partner, DxT3, Inc.
eSimulation, Inc., based in Houston, Texas, is a pioneer in the field of midstream natural gas gathering and processing cloud-based software solutions that predict the effects of operational and business performance based on fluctuating market and asset conditions. The solutions also provide prescriptive guidance to optimize profitability under all market and asset conditions. eSimulation’s optimization solutions have been successfully applied to over 50 natural gas processing units since the company’s inception in 2000. eSimulation also provides cloud-based digitalization technology that streamlines upstream and midstream gathering businesses to significantly reduce the effort required to manage these assets. 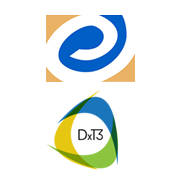 DxT3, Inc., based in Pittsburgh, Pennsylvania, is an exclusive licensee and joint venture partner of eSimulation that focuses on developing market channels for eSimulation product offerings within the Appalachian Basin. Through this acquisition, eSimulation can offer a wider range of value-added solutions to the midstream and upstream industries. For example, ControlSoft’s MANTRA® advanced process control (APC) platform can help stabilize gas plants, condensate stabilizers, and fractionation facilities and enable operators to effectively hit optimization targets. Furthermore, ControlSoft’s INTUNE®+ control loop performance monitoring (CLPM) software will help operators evaluate control health to sustain optimal performance. These solutions complement eSimulation’s in-plant optimization solutions. “The acquisition of eSimulation and its joint venture partner, DxT3, signifies a major milestone in support of ControlSoft’s optimization business strategy. The eSimulation software platform is a comprehensive, integrated, and easy-to-use suite of solutions for optimizing the performance of gas production, gathering and processing. Adding eSimulation to our business will enable ControlSoft to provide predictive and prescriptive operations and reliability capabilities to further differentiate our offerings, creating additional value for our customers and opening up a new market for ControlSoft in Upstream and Midstream Oil & Gas opportunities,” said Tien-Li Chia, Ph.D., President of ControlSoft. “eSimulation’s employees are excited to join the ControlSoft team. eSimulation shares ControlSoft’s vision for advanced process control and optimization technologies. We are especially excited about combining our expertise in gas gathering and processing with ControlSoft’s extensive field experience in industrial process control, their patented technologies for advanced process control, and their analysis software. We believe this will result in new and exciting value opportunities for eSimulation’s midstream customers as well as growth opportunities for our employees,” said Mark Roop, eSimulation cofounder. “In early 2017, the eSimulation and DxT3 joint venture was created with the singular purpose of creating a dynamic platform company for the adoption of web-based digitalization software applications (IIoT- Industrial Internet of Things) within the midstream segment of the Oil and Gas industry. The adoption of these technologies is now accelerating in the Midstream Industry and especially within the Appalachian Basin due to its abundance of natural gas resources in the Marcellus and Utica fields. With this acquisition, ControlSoft, which has been established in the Appalachian region for 30 years with customers in the chemical and manufacturing industries, is now poised to grow its process control and optimization solutions and services by leveraging the new digital transformation technologies to a broader portion of the Chemical and Oil and Gas industries, rapidly developing in the Appalachian basin as well as throughout North America. We look forward to being a catalyst for new growth opportunities within ControlSoft and expanding the breadth of its operations within the upstream and midstream oil and gas markets,” said Chet Mroz, President of DxT3 Inc.
“Our relationship with eSimulation’s Mark Roop and Steve Hendon culminated in the establishment of DxT3 in 2017 in order to create new channels to market for eSimulation’s applications within the Appalachian Basin. We are pleased to have realized this vision with the merger of DxT3 into eSimulation and ControlSoft’s long presence in this region. We look forward to joining the ControlSoft family along with our eSimulation partner,” said Mark Santo, Founder and Chairman of DxT3 Inc. Since 1985, ControlSoft has been advising industrial operating companies on how to optimize plant performance with new and existing assets through improvements in their process control. Our products and services are sought by prominent companies in leading industries. 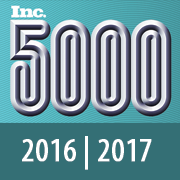 By maintaining a focus on improving plant availability, production efficiency, operational safety and environmental compliance, we continue to grow and expand our technologies and we are honored to be recognized on the Inc. 5000 list of fastest-growing companies for 2016 and 2017.
eSimEvaluator, eSimOptimizer, and eSimGathering are registered trademarks of eSimulation, Inc.
INTUNE and MANTRA are registered trademarks of ControlSoft, Inc.
https://www.controlsoftinc.com/wp-content/uploads/eSimulation-DxT3.png 180 180 Christine Dombrosky https://www.controlsoftinc.com/wp-content/uploads/ControlSoft-300x83.png Christine Dombrosky2019-01-08 11:20:052019-01-09 11:07:27ControlSoft Acquires eSimulation, Inc. and DxT3, Inc.
ControlSoft is pleased to welcome our newest team member, Shadi Wadi-Ramahi, as a Commercial Manager responsible for managing the sales for several of our major accounts, overseeing our channel partner program and for managing all of our inside sales activities. Mr. Wadi holds a BS in Electrical Engineering from Ohio University, and an MBA degree from Oakland City University, and comes to us with 23 plus years’ experience in industrial automation and process control. 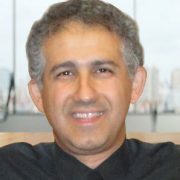 Prior to joining ControlSoft, Mr. Wadi-Ramahi held key positions at other well-known industrial automation companies, including Metso, Invensys Ltd., and Yokogawa. In his latest position at Metso, he was responsible for managing channel partners in North America and the Middle East. Mr. Wadi-Ramahi is fluent in both English and Arabic. We believe Mr. Wadi will be a great asset to our growing team, as we continue to expand ControlSoft software and services globally, and we welcome him aboard. Additional usability enhancements and bug fixes. You can now use INTUNE+ CLPM Software to collect historical and real-time data from your OSIsoft® PI System®. 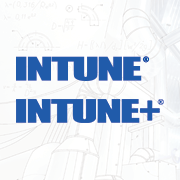 Using the Auto Tune tool, you can interface to your PI System, query data and import queried data into INTUNE software to help optimize your plant performance. INTUNE+ CLPM Software can analyze this data and make adjustments to process variables that will help your process run in a stable, predictable, and consistent manner, at or close to setpoint. New Project Data Format – For improved performance when loading, executing, and saving projects, the INTUNE project format has been modified to a new data format. Projects saved in the new format can be reverted back to the original format. Export/Import Loop Functionality – The Export/Import loop functionality has been updated for better performance. Report Metadata – Report Type properties containing Company information are now editable during runtime. System I/O Reports – System IO reports have been discontinued. For detailed information, please see the INTUNE Software v6.5.0.1 Release Notes, publication MN109A-EN, included with the software download. ControlSoft is pleased to announce that we have been accepted into the OSIsoft Partner EcoSphere Program as an Application Partner. The benefits of this partnership will be realized by customers who choose to interface the ControlSoft INTUNE®+ Control Loop Performance Monitoring (CLPM) with an existing OSIsoft PI System®. ControlSoft is developing software that allows INTUNE+ to connect like a client application at either the PI Archive or PI Asset Framework level. This enhanced method of data exchange between the INTUNE+ and the PI System improves usability and security beyond that available today. OSIsoft’s PI System captures data from sensors, manufacturing equipment and other devices and turns it into rich, real-time insights for saving energy, improving productivity or developing new products. Over 1,000 leading utilities, 90 percent of the largest oil and gas companies and more than 65 percent of the Fortune 500 industrial companies rely on the PI System to get the most out of their businesses. Worldwide, the PI System manages over 1.6 billion data streams. OSIsoft, the OSIsoft logotype, and PI System are registered trademarks of OSIsoft, LLC. INTUNE is a registered trademark of ControlSoft Inc.
For the second year in a row, ControlSoft has been named to Inc. 5000’s List of America’s Fastest-Growing Private Companies. While making it on the list one time is an extraordinary achievement, making it on the list a second time is something only 1/3 of honorees have been able to do. This list represents a unique look at the most successful companies within the American economy’s most dynamic segment — its independent small businesses – and is the most competitive crop in Inc.’s list history. Enhancements focused on performance improvements and ease of deployment. Improved OPC Client Protection and Performance. Improved connectivity and performance for multiple simultaneous OPC clients. Filtering and sorting messages by criticality, class, frequency, type and time. Message center now allows I&C users to add comments to any message. Multiple comments can be added to a message, and users can track specific messages for maintenance purposes. Messages and comments can be exported for other reports. Larger and more complex diagnostic scripts are supported with faster and more efficient execution. 1 We plan to release INSIGHT software in the third quarter of 2017. A beta version of the software is currently available. 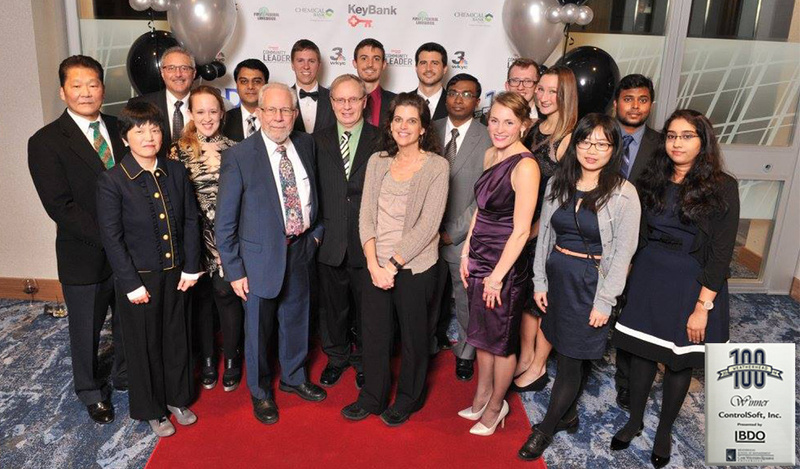 In December 2016, ControlSoft was once again named one of the fastest growing companies in Northeast Ohio. 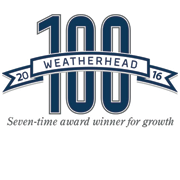 The Weatherhead 100 awards are the premier celebration of Northeast Ohio’s leading companies.